I love Kristina Werner's cards, so I wanted to jump in to her Show & Tell with a card that I have been putting together. I was excited to order some cute stamps from Lawn Fawn, but I am not used to the clear acrylic stamps yet. 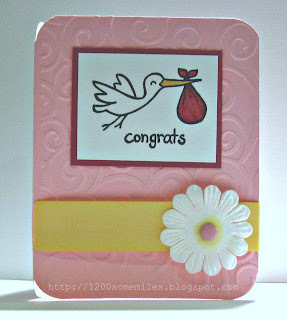 Card Stock: Rose Red, Whisper White, and Pretty in Pink from Stampin' Up! 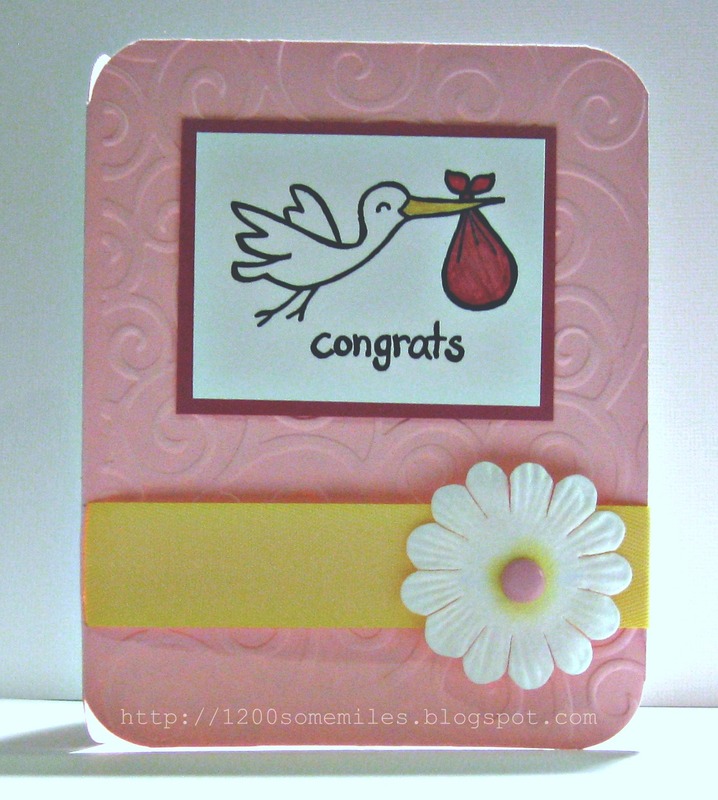 Ribbon: So Saffron from Stampin' Up! Ink: Staz On Black and Rose Red marker from Stampin' Up!